Home » Are You Ready To Teach Your Learner? Teaching someone to drive can be a stressful time and can create a lot of anxiety for family members supervising the new driver. Reduce the stress of the early stages with these 5 simple tips from our professional driver trainer in Werribee. Unfortunately most teenagers don’t bother reading the “Road to Solo Driving” handbook to pass their learners test. Instead many keep practising the online tests until they remember the example questions rather than understanding what the rules are and why we make certain decisions. Reading the “Road to Solo Driving” will help them to be aware of their obligations even as a learner and will make it easier for them to make better decisions on the road. In particular, section 4 of the book covers many of the rules and signs they will encounter when they start driving. It’s a great idea for you as their supervisor to read through this section too. When your learner first gets on the road they should know how to locate and operate the main controls. You don’t want them to lose focus trying to find the wipers in an unexpected downpour of rain. Give them plenty of opportunity to sit in the front while you drive so you can explain how and why you are operating the controls. Even before they get their learners permit you can have them sit in the driver’s seat while the car is parked. Let them practice turning on and off signals, lights and operating the windscreen wiper on its various settings. Flick through the car’s user manual with them so they can understand what the speedo and other gauges are for. Before you start make sure your car is in a safe condition and suitable for learning. This is a great opportunity to get your learner involved in checking fluid levels, all lights are working and keeping windows and mirrors clean. While you might have got used to driving with a dirty windscreen your learner needs as few obstructions and distractions as possible. Have your mechanic give your car a check over to make sure there are no nasty surprises on the road. Also check with your insurance company whether they provide cover for learner drivers, if they have age restrictions or whether there are any extra conditions on your policy. Even a small collision can be an inconvenience but finding out afterwards that your insurance is not valid can be an expensive driving lesson. While it might be tempting to jump in the deep end right from the start, a wiser choice is to work on mastering basic skills and gradually add more challenging situations when your new learner is ready. With young learners needing at least 120 hours of supervised driving there is plenty of time to develop skills to a higher level in less challenging situations rather than trying to learn too many new things at once. Putting your learner into difficult situations when they are not ready can cause more harm than good. Exposure to traffic conditions that is beyond their ability is dangerous and can destroy confidence if things go wrong. Particularly at the start, building a solid foundation on the basics will increase their confidence and help them learn higher level skills much more quickly. When you’ve been driving for a long time it can be hard to explain how and why you do certain things. Extra acceleration going uphill comes instinctively to you but a learner may not even notice their speed is dropping. When you first encounter new situations or are teaching new skills with your learner, you can never explain too much. Give them as much detail as possible and encourage them to continually ask questions until they fully understand. It is much easier to develop safe habits and techniques from the start than trying to correct 120 hours of bad habits in the week before their driving test. Teaching a new driver can be a stressful time if you are not properly prepared or have a few bad habits of your own. Having a few professional lessons in the early stages can help build a solid foundation for the many hours your teenager will be driving with you. Your learner will quickly overcome any early difficulties and build their confidence a lot sooner with the help of a good driving instructor. 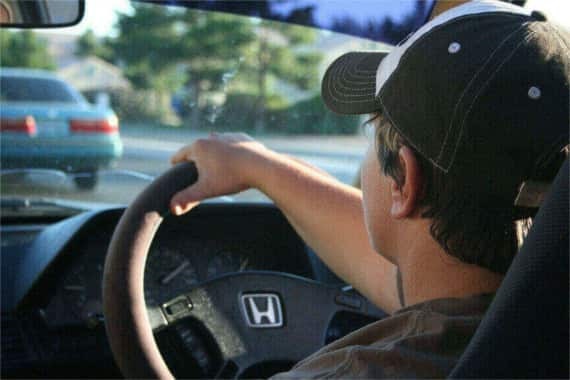 Remember they are there to work with you in the important task of making your teenager a safer driver for life. They should be willing have you sit in on lessons from time to time and happy to provide you with advice and address any concerns you have. Eclipse Driver Training can assist you with driving lessons for new and experienced learners in Werribee and surrounding suburbs of Hoppers Crossing, Point Cook and Tarneit. Even though teaching a new driver can be stressful at times, starting with these 5 tips will make the process a whole lot easier. Expect a few disagreements but remember to stay calm and keep offering encouragement. Once you and your learner get past the first few drives you’ll find that passing on your knowledge and skills becomes very rewarding as you see their continuing improvements. Call Eclipse Driver Training today! Phone or SMS us on 0409 315075 or complete your details on our contact form. Our expert driving instructors will help your new learner develop correct skills from the start and encourage a safe attitude to their driving future.